Road F10A is an active full range 3-way speaker amplified and very professional, dedicated to musicians and DJs with a power of 260W RMS, and 10” woofer and 1” trumpet. It is suitable for small rooms and piano bar. It uses discreet components with amplifier and transistor and Darlington class AB scheme. The speaker is supplied with an internal processor and a very linear reply, the sound is the deep and classic sound of the SR products. Extremely strong with a wooden cabinet and metallic grating, it is provided with lateral handles for easy transport. Road F12A is a 2-way full range active speaker amplified and very professional, dedicated to musicians and DJs with a power of 380W RMS, and 12” woofer and 1” trumpet. It is suitable for medium size room. It uses discreet components with amplifier and transistor and Darlington class AB scheme. The speaker is supplied with an internal processor and a very linear reply, the sound is the deep and classic sound of the SR products. Extremely strong with a wooden cabinet and metallic grating, it is provided with lateral handles for easy transport. Coverage angle 90? x 60? 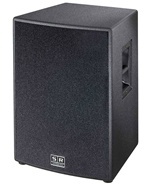 Road F15A is a 2-way full range active speaker amplified and very professional, dedicated to musicians and DJs with a power of 550W RMS, and 15” woofer and 1.5” trumpet. It is suitable even for large rooms and for use outdoors. It uses discreet components with amplifier and transistor and Darlington class AB scheme. The speaker is supplied with an internal processor and a very linear reply, the sound is the deep and classic sound of the SR products. Extremely strong with a wooden cabinet and metallic grating, it is provided with lateral handles for easy transport. Coverage angle 60? x 60? Road M28A is a very professional 2-way active, full range, stage monitor, dedicated to the musician and the DJ, 350W of power, with 2 to 8” woofer and 1” custom horn. It uses a digital amplifier to limit weight and size. 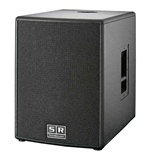 The response is highly linear, the sound is the classic and deep one of all SR TECHNOLOGY products. Moreover, the musician-oriented tone and volume controls, allow a quick and easy management of your sound. Equipped with standard flange on the bottom, if necessary, it can be used as a classic active system. Angle of coverage 60? x 60? 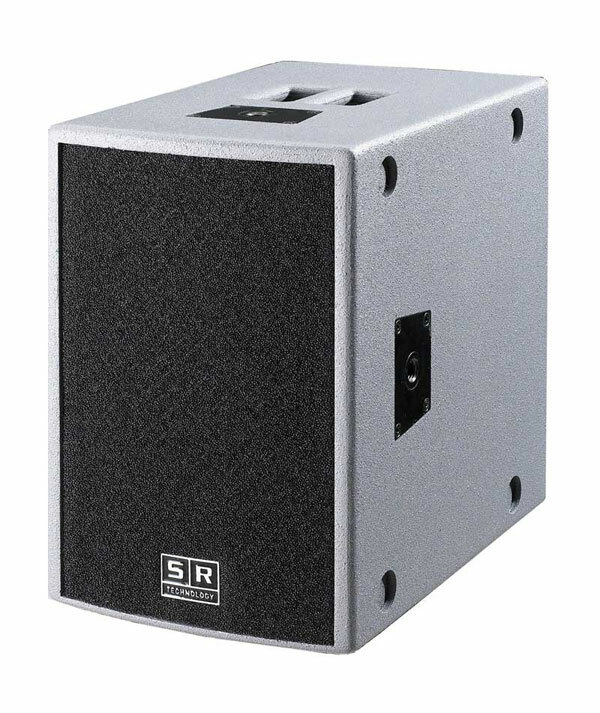 Road SUB15A is an active subwoofer, very professional, dedicated to musicians and DJs with a power of 800W RMS, and 15” woofer and semi-trumpet load for a deep sound that is typical of the SR products and a high sound pressure that allows to reach great distances even outside. It uses discreet components with transistor amplifier and Darlington class AB scheme. Extremely strong it is provided with lateral handles for easy transport and of a standard seat measuring 40mm for the satellite support. Road SUB18A is an active subwoofer, very professional, dedicated to musicians and DJs with a power of 1000W RMS, and 18” woofer and box bass reflex. The soft and deep sound is the typical one of the SR products and the high sound pressure allows reaching great distances even outside. It uses discreet components with transistor amplifier and Darlington class AB scheme. Extremely strong it is provided with lateral handles for easy transport and of a standard seat measuring 40mm for the satellite support. This is an extremely compact, high quality and powerful stereo system that can be installed anywhere. 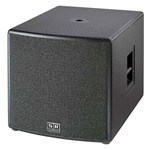 The stereo set comprises an active speaker with amplified output, connected to a second passive speaker. 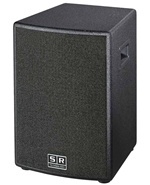 Classic SR Technology look, with black or natural wood finish.